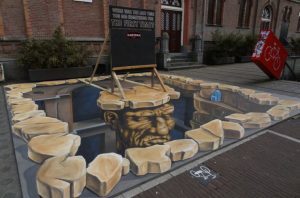 3D street art has its roots back to the ancient Greek era. 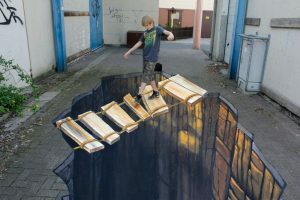 A perspective 3D art is a two-dimensional artwork done using chalk on a surface, which gives us a 3-dimensional optical illusion when looked at from a certain perspective. 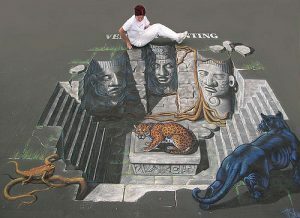 These creative 3D chalk art look very realistic once you get the correct angle. 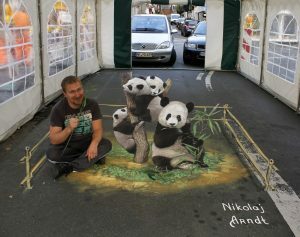 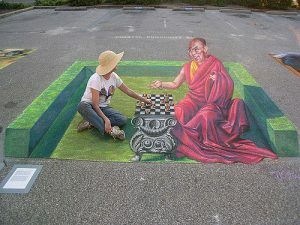 It requires great talent to generate a 3D view out of a 2D chalk hand painting. 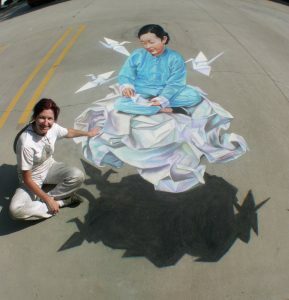 These street graffiti works are done by very talented artists who specialize in perspective drawing. 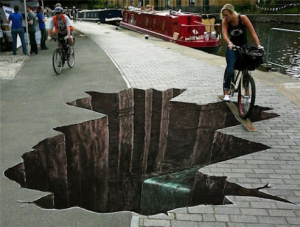 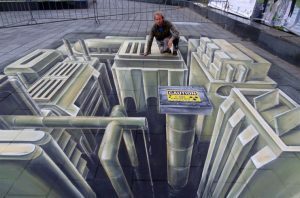 3D street drawings are getting enormous appreciation these days. 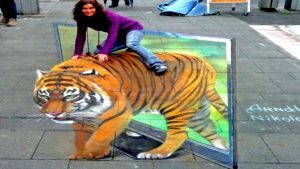 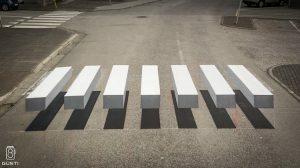 Many corporate brands nowadays are making use of the possibility of street drawing for advertising and brand promotion activities. 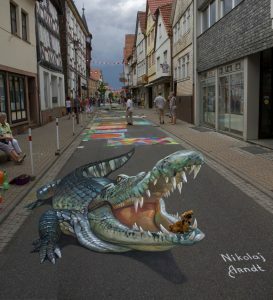 Here is a collection of around fifteen breathtaking 3D street perspective artworks. 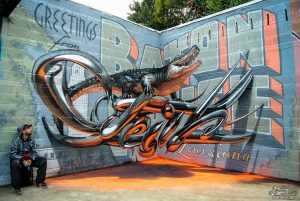 All these exceptional artworks are bookmarked with the original URL. 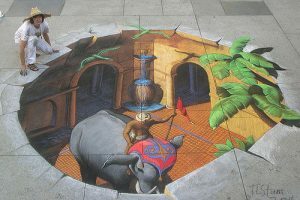 Each of these images has its own copyright terms of usage. 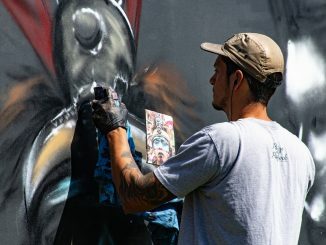 If you’d like to use one of these artworks for inspiration, please contact the copyright owner for the right permission.